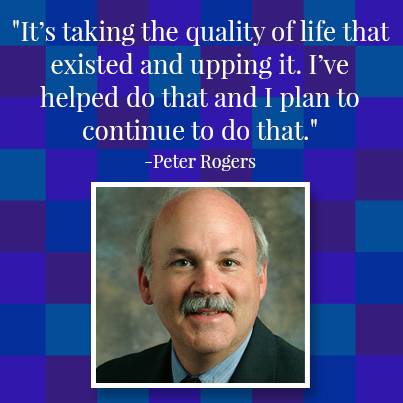 Peter Rogers has been continually learning and volunteering throughout his life. He has his own photography business and is on the city council of Chino Hills in California, the town I grew up in. The way the city council works in Chino Hills is he gets elected to city council and then once every term he gets elected for a year as mayor of our town. He’s been mayor twice and was mayor last year. Today he’s going to talk with us about his career as a photographer and also about his experiences being the mayor of Chino Hills. 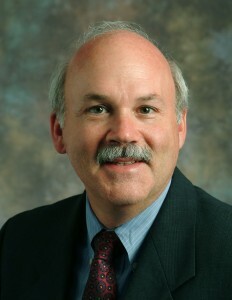 Peter Rogers was elected to the Chino Hills city council in November 2006 and has served as the mayor for two of those years. He’s also a Southern California based commercial photographer specializing in partnerships with businesses and ad agencies to create innovative photographic solutions for advertising and marketing needs. It was an honor for me to interview Peter Rogers, our previous mayor, member of the city council, someone who has volunteered so much time to the community and surrounding areas. I have a lot of respect for Peter, I think he’s done a lot of really good things for our community. You can just tell that he means well by talking with him and seeing how he engages with the community. What he mentioned that I thought was fascinating, he’s been so active volunteering in the community doing activities being involved, he said that was the way he was brought up and that once you lead towards a life of volunteering you just sort of continue doing that. Another thing he mentioned that I thought was surprising was when he told me about him starting his own business. He was very into learning about sales and business. He would constantly read and listen to tapes about sales, closing the sale and all that stuff. He did the work took the time and put in the effort, but sometimes you look at people and you think that it’s ingrained in them and they’re naturally that way. It’s obvious that he put a lot of work into a lot of aspects of the things that he’s doing. That he’s constantly been learning. That’s one of the reasons why everybody who is around him is seeing something special in him. Because he is continually learning, continually growing, and is continually finding ways to improve himself, his business and the people that are around him. That is pretty remarkable; just the learning process in general, whether it be through sales, about business, how to close people, and always learning. Check out the podcast on iTunes, rate and review it. Let me know how I’m doing on here. When Peter was younger he found himself as basically the family photographer, especially on family vacations. In high school, he was given a camera as a gift. Took pictures on campus and, in his junior year, he became one of the campus photographers. At the end of the year he was asked to become president of the Photography Club. In his senior year, he was transitioned into being yearbook editor and lead photographer for the yearbook. In college he was hip deep in photography. At Cal Poly Pomona he joined the yearbook staff, the newspaper staff, the magazine staff, and he majored in visual communications. Studied still photography and video. He also got the chance to do side work for local newspapers and was paid to be the campus photographer; especially for sports. He got the opportunity to do some overseas travel to fine tune his skill. He won some awards, including from Sigma Delta Pi, a journalism group. Winning awards encouraged him and gave him confidence in his abilities. He wanted to get a job at the Wide World of Sports, had a number of interviews, but it never panned out. So he stuck with still photography, rather than video, and became a press photographer. Got married. Worked with a corporation for 10 years, travelled all over the world doing photography for their corporate reports and brochures. Gerald Ford was on their board of directors, and Peter was around him often. In 1987 he started his own photography business. He does commercial photography for corporations, ad agencies. 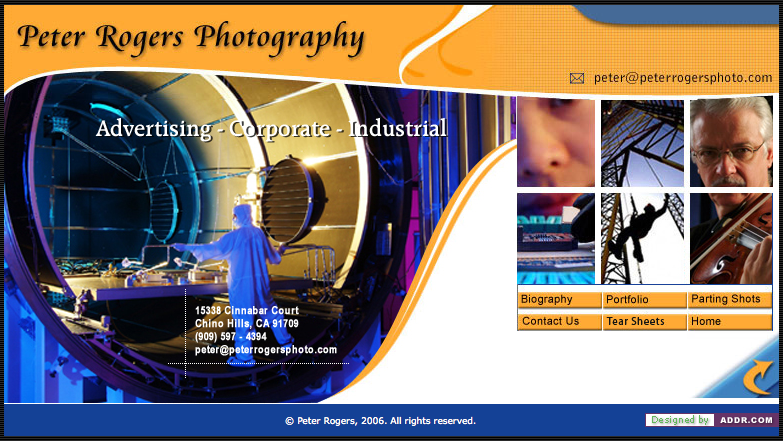 He does location photography for car companies, NASA companies, Pomona Valley Hospital, Ad Agencies, Graphic Firms. Peter realizes that he’s been pretty fortunate, for this 35+ years of being a professional photographer. He’s finetuned it enough that he’s very efficient for his clients. He also likes to take his time when he does nature photography. It’s a nice balance between the pressure of work and having to make money, and having fun going on trips and just being a tourist photographer. Since his Junior year of high school he hasn’t stopped doing photography. Journalism photography and corporate photography are distinctly different. So he continued taking photography classes at Art Center in Pasadena, a high end photo and art school. Honing his craft. He realized that his eye was good for lighting. The lighting aspect was fascinating to him. He started using filters, and creating really high end dramatic photographs. It separated him from other photographers. 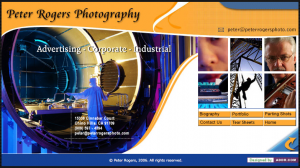 When Peter decided to start his own photography business it was partly because he had always had his own side business. It was a combination of working for a corporation for 10 years. Getting up, putting on a suit, getting to work, it took an hour to get to work. Typical corporate job. Combine that with having a part-time photo business working with clients, and that was mostly nights and weekends. When asked if he could choose a career other than the one you’re in what would you do, he didn’t have an answer. One of the biggest hurdles, when you are an equipment driven business, you have to have the tools to get the job done. Photo is not cheap, especially when you’re using fancy lighting equipment. Have equipment in redundancy, so that if something goes down I can be sure that I have backup equipment. Peter used Hasselblad up until pretty recently, very expensive cameras. “The biggest struggle was to have enough money to buy the proper equipment to make the business successful and to let the clients know that you’re serious.” Personal computers were just getting going in the mainstream. The business stepped toward the computer world. Peter had to buy and take the time to learn the software to be able to run the business. Getting clients was the other big thing. Peter put together lots of promotional materials, he researched joint associations, he attended seminars, learned techniques, worked to get himself a step above; how to be a little more sophisticated in how you go about marketing yourself, how you deal with clients. Peter bought business tapes on the art of sales, how to deal with clients. He took business seminar classes to understand the art of business and learn how to conclude a sale, how to get yourself in front of people. In those early years Peter really immersed himself in understanding the world of being a business owner and being successful. Peter wasn’t volunteering much when he was starting his career, because he was so busy. But when he started his own business, had a little more freedom, he joined the board of directors for his HOA. Within two months he was president. He often finds himself in the lead. When his kids got older he stopped being president of the HOA (he stayed on the board) so he’d have time to be his son’s little league coach. There he was recruited to be on the little league board of directors. Soon after he was backed into the position of being the little league president. While he was president of Canyon Hills Little League, he interacted with Chino Hills, which just became a city. He saw the Sports Council with the goal of getting field space for practice and to play games. He did that for a couple times each year. At some point Peter was approached to be the parks and recs commissioner. He thought that was a good idea and did that for about 8 years. When a space opened up for a space on city council for an 8 month term he went for it, several people ran. He didn’t win. Years later a normal spot came up, one of the original council members told Peter he should run again. He did, and he was successful. Now he is getting into his 8th year on city Council. About being a Mayor: Day to day is very busy if you do it right. In city council and as mayor Peter focused on communications. Communication with internal staff, communicating with the public and with the press. He says, if the citizens know what’s going on there’s less concern about the direction of the city. In Chino Hills the council has been trying to attract retail to the city. Chino Hills is known as a bedroom community. Of any of the cities in the Inland Empire, Chino Hills sustained the least amount of effect from the economic downturn. Setting a mission and accomplishing going to every school and talking to the kids. Peter would stay at the school for an hour to 3 hours, talking to the kids about the history of Chino Hills, about city government, how they get money, how the council is structured and how the city manager runs the city. For Peter it was cool to visit class rooms and teach the kids. This entry was posted in Episode 083: Continually Learning and Volunteering | Peter Rogers Commercial Photographer and Chino Hills City Council Member on May 20, 2014 by Admin.